The final improv performance of the semester! 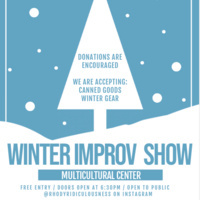 We will be playing lots of improv games with audience participation. Come join us for a fun evening!